All the talk about the 2010 elections is about the referendum on the Obama/Democrats response to the great recession, about the length of the coattail on the Obama popularity if any (coattail or popularity), and how these things will play out in legislative elections everywhere. No one is talking about the fact that the legislatures elected in 2010 will be responsible for the mandated legislative redistricting that will follow the 2010 census. Don’t kid yourself. There is a great deal of talk about this. But it is among the insiders who nest in the D.C. beltway and the Madison capitol square. The alleged purpose of redistricting is to even out the size of the Assembly, Senate and House districts, and achieve some kind of popular homogeneity within them while getting as many competitive races as possible. What the legislative leaders are trying to get is redistricting that protects the electoral majorities of the current incumbents (who will, not so incidentally, get to vote on whatever districting plan is proposed) and to save campaign expenses by reducing the number of districts that have competitive races for which they will have to raise the money to run. I was unhappily in the middle of the redistricting process that followed the 1980 census. There were some very important issues on the public agenda at that time because a post-Carter recession was closing in on those in power. My recollection is that the actual agenda revolved around a state senator whose father-in-law would no longer live in his district if a particular plan was enacted, and an assembly representative whose finance chair was being moved to another district, and more turf battles in more places. The recession could wait. Since then, Wisconsin’s elections have been Kohl-ized, and large amounts of money are thought to be necessary to win seats in areas that are really up for grabs. The legislative leaders’ top objective now is to keep the campaign costs manageable by reducing the number of those elections. 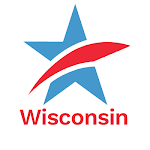 If there was an anti-trust law that applied to the conspiracies hatched by the likes of Dave Obey and Jim Sensenbrenner for the congressional districts, and for their counterparts in Madison who carve up the state into legislative districts, all of them would have violated it. There wasn’t. There still isn’t. Until and unless there is we will have a situation where the candidates are picking their constituents rather than vice versa. The post-2000 redistricting has resulted in about a third of the state legislative elections being settled in July when nomination papers are filed and one out of three candidates drawing no opponent. Another third are settled in September primaries where the winning candidate for one party or the other will be virtually guaranteed a victory in a partisan-loaded area in November. That leaves about a third where both parties think they have a shot at a November victory while in reality only about a third of that third do. My question is why aren’t all those tea party protesters who are painting signs, holding rallies, and marching in the streets to express their unhappiness with the people who represent them focusing on this? Screaming slogans and insults will do nothing to dismantle the districting system that denies them a chance to elect someone who might be more responsive to their grievances. Until and unless there is a revolutionary change in how we carve up the legislative districts, the status quo is pretty much safe from any party, including any tea party.